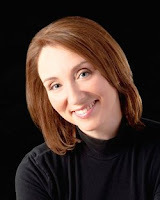 Stasia Ward Kehoe: VOICE IN YOUR NOVEL: Free Writing Workshop at Woodinville Library this Saturday! VOICE IN YOUR NOVEL: Free Writing Workshop at Woodinville Library this Saturday! will be taught by yours truly! A great book needs a strong plot, great characters and evocative settings, of course. But after that, it's the elusive element of VOICE that elevates a manuscript from ordinary to extraordinary. Learn what that means and how to find the best VOICE for your novel in this intense, round table style workshop PACKED with writing exercises. Bring paper & pencil! This workshop open to writers in grades 7 to adult. Registration is not required but, if you're so inclined or want more details, visit Woodinville Library Program Information Page. I love this topic and am looking forward to a great session of learning and sharing our views on VOICE. I hope to see you there!